About 100 first responders have temporarily left Alberta’s smoke-filled air behind, moving a province west, where conditions are much worse. 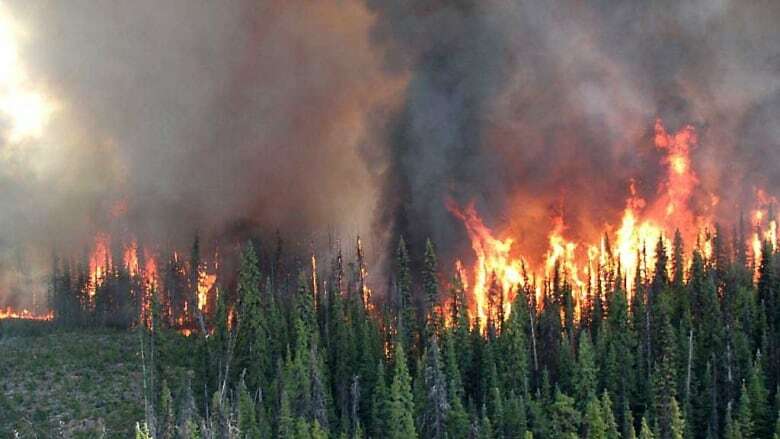 Firefighters and RCMP members have been deployed to British Columbia to help local crews deal with hundreds of fires burning across the province. A total of 47 Alberta firefighters and support staff have been sent to B.C., said Lynn Daina, an information officer for the Fort McMurray forest area. Two four-person crews from Fort McMurray arrived in the Prince George area on Friday, she said. They’ll work alongside a team from Peace River. Additional resources were also needed to tackle the Sage Creek wildfire burning a few kilometres west of the Alberta border, she said. Seven support staff from Fort McMurray were sent to the Calgary area, offering assistance with resource management and fire behaviour analysis. Just two summers ago, it was B.C. that was sending firefighters to Alberta to help with the Fort McMurray fire. “It’s a very tight-knit community. And any of the wildland firefighters that have been around for awhile, they really do get to know each other across the country and that bond is very strong,” she said. B.C. also deployed police officers in Fort McMurray in 2016. Alberta RCMP returned the favour last year, and are doing so again this wildfire season. About 48 officers have been sent to central B.C., where conditions are severe, said Dawn Roberts, communications director for B.C. RCMP. The specialized tactical operations officers are trained to deal with crisis situations, and their main task is to help with evacuations. Roberts noted this year’s wildfire season is particularly challenging, as the fires aren’t concentrated in one area. “Literally every fire operation centre in British Columbia is dealing with some challenging fires,” she said. Officers will do seven-day deployments, working shifts that can easily exceed 12 hours, before getting time off or returning home, Roberts said. So far, B.C. hasn’t requested support from RCMP from provinces other than Alberta.